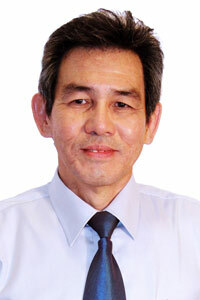 Ps Daniel Koh joined BBTC on 1st Feb 1996 and in his own words “wow, how time flies”. Formerly in the Building & Facilities Maintenance line at Changi Airport, he now maintains BBTC’s Building & Facilities. His main “interest” now is in the Seniors’ Ministry – preparing the Seniors to run the best leg of the race on earth towards heaven. BBTC Seniors ministry reaches to the senior citizens in BBTC and to any Senior who is keen to journey with us to know Christ and mature in Him. Its purpose is to make strong disciples of the Lord Jesus for the purpose of serving God and reaching out to family and friends with the Gospel message. 1. To make the main thing the main thing – Making Disciples (A Disciple Maker). 2. Operation Andrew where everyone is encouraged to pray for and share the Gospel with at least one oikos a year. 4. To use our spiritual gifts to serve the Lord. The MWF was launched in early 2004 to cater for retirees and homemakers who have time in their hands. Its programme focuses on the whole person (spirit, soul and body). Activities include singing (Christian songs & Oldies but Goodies songs), a message, line dancing, karaoke, table-tennis, ukulele playing, board games and not forgetting, food. We started with 15 members but numbers have multiplied manifold with people from other churches bringing their oikos. Our have current weekly average attendance of more than 200 seniors. MWF is held at Hall 1 on Wednesdays from 10am to 12pm, followed with lunch. After lunch, we have a range of activities from 12.45pm to 2.45pm such as line dancing, table-tennis, rummy-o, ukulele & harmonica, bible-study, chit-chat, etc. We have since added a Monday afternoon activities from 2pm to 5pm (due to overwhelming demand) & House of Prayer (4pm-5pm). Please join us for a time of fellowship and bonding. Our adhoc activities include outings and camps for Seniors during June and December school holidays. Every year, we also organize trips to countries in the region to expose our seniors to the different ethnic and religious cultures. The Seniors have visited China, India, Vietnam, Indonesia, etc. For more information, please contact Pastor Daniel Koh at 97564344.